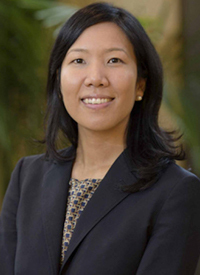 Although 3 PARP inhibitors have FDA indications as monotherapy in the maintenance setting for patients with recurrent ovarian cancer, investigators are aiming to extend their benefit to more subgroups and determine their added efficacy when used in combination, explained Chrisann Kyi, MD. Another area of exploration is evaluating this class of agents in subsets of patients who do not harbor BRCA1/2 mutations. “Some of these patients derive clinical benefit from PARP inhibitors and trying to understand these genetic signatures through molecular profiling may allow for greater benefit as we look to the future,” she added. In an interview during the 2019 OncLive® State of the Science Summit™ on Ovarian Cancer and Soft Tissue Sarcoma, Kyi, a medical oncologist at Memorial Sloan Kettering Cancer Center, discussed the utility of PARP inhibitors in the primary treatment and maintenance settings for patients with recurrent ovarian cancer and the next steps that lie ahead. OncLive: What is the role of PARP inhibitors in recurrent ovarian cancer? Kyi: It's a really exciting time to be in gynecologic medical oncology. The climate is such that we're moving towards molecularly targeted treatments. Since 2013, we’ve seen FDA approvals for PARP inhibitors in the treatment and maintenance settings of recurrent ovarian cancer. Rucaparib (Rubraca) is approved in the treatment setting for patients with either germline or somatic mutations who have received 2 or more prior lines of therapy. Olaparib (Lynparza) is approved for patients with a germline or somatic BRCA mutation in the treatment setting. I also discussed the current approvals for maintenance therapy. All 3 PARP inhibitors—olaparib, niraparib (Zejula), and rucaparib—regardless of BRCA status, are approved for use in the maintenance setting after complete or partial response to platinum therapy. An exciting development is the data from the SOLO-1 trial [with olaparib], and the introduction of PARP inhibitors into the frontline maintenance setting for patients with either a germline or somatic BRCA mutation. In terms of moving forward, we’re focusing our efforts on to how to incorporate PARP inhibitors into a patient’s treatment schema. We have to think about patient selection, methods and mechanisms of resistance, as well as combinations that will promote efficacy. Notably, while enriched populations with germline or somatic BRCA mutations [show the best responses], we’re also seeing responses in patients with BRCA wild-type mutations. We have to distinguish between patients who are HR proficient and those who are HR deficient and see if we can [make more patients] HR deficient. That may extend the benefits of these agents [that target] DNA damage repair to more patients. Are there differences among the available PARP inhibitors? There are nuances. The choice of which PARP inhibitor to choose for a particular patient can rely on the toxicity panel. For example, the potential for thrombocytopenia is a known adverse event (AE) with niraparib. Slight dose adjustments have been shown to be effective for some patients. There are overlapping toxicities between the PARP inhibitors in the maintenance setting, specifically in terms of myelosuppression, anemia, and particularly, thrombocytopenia. That is something to consider. There is also the potential for hypertensive crisis. With regard to other AEs, patients on rucaparib can have a higher predisposition or risk for photosensitivity. Does prior exposure to PARP inhibition lessen its efficacy upon repeat exposure? That's an interesting question. There were recent data presented at the 2019 SGO Annual Meeting that showed that patients who had received prior treatment with a PARP inhibitor were able to achieve some clinical benefit on second exposure. However, this was a small cohort of patients and deserves further exploration. What combinations with PARP inhibitors are under investigation? That's a very good question that brings a very important question to light of how to integrate PARP inhibitors into the treatment landscape. PARP inhibitors are being investigated in combination with other targeted therapies, such as angiogenesis inhibitors like bevacizumab (Avastin) and cediranib, and PI3K inhibitors.